​ WACO - Chip and Joanna Gaines shed a little light on their plans for the vacant Elite Cafe on Waco’s traffic circle during the “Silobration” at Magnolia Market at the Silos. They plan to open a restaurant serving breakfast, brunch, and lunch. The Gaineses bought the iconic building after Ford Restaurant Group closed it abruptly in February 2016. 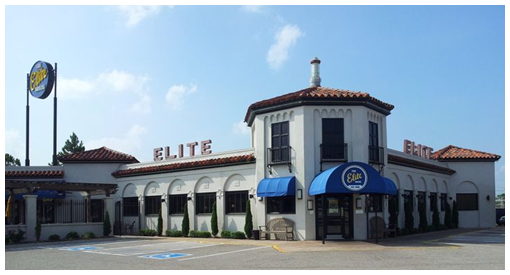 The Elite, "Where the Elite Meet to Eat," according to the marquee, had fed generations of Waco residents for 97 years, but intense competition from new dining establishments apparently proved too much for it to overcome. The Gaineses recently sanctioned an auction of the cafe’s contents, with the net proceeds of $51,000 going to Mission Waco and its efforts to create a nonprofit grocery store in an old building at North 15th Street and Colcord Avenue that once housed a Safeway.